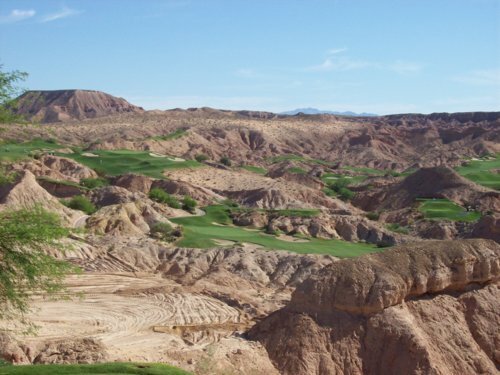 As I look forward to this May when I have my next big Golf Nomad adventure planned through Southwest and Midwest states, I can’t help but think back to my other massive golf road trip in 2007. 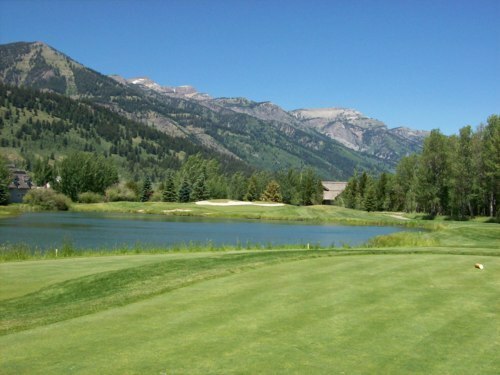 I also wanted to celebrate the fact I finally got my own custom domain name for this site (bogeysacrossamerica.com). 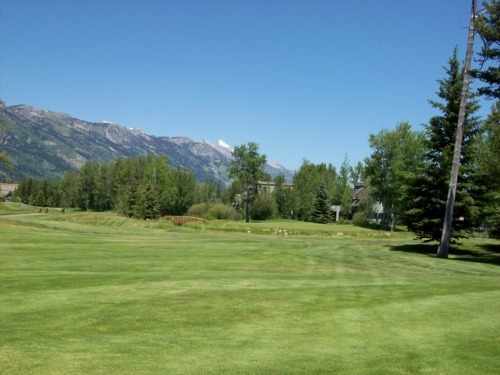 On that trip, I played golf in eight different states and two Canadian provinces, as well. It was the vacation where I really began the commitment to my goal of playing in all 50 states. So, needless to say, it’s was pretty epic and it’s a fitting way to tie into the new domain name. I had taken two full weeks off from work, with the 4th of July holiday falling in the middle of the second week of this trip. 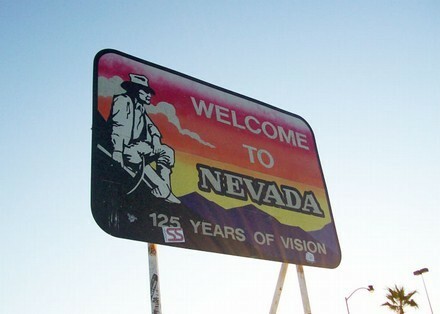 I left home on a Friday evening and drove to Primm, Nevada (aka “Stateline”), where I stayed at good old Whiskey Pete’s. I figured I’d get to do a little gambling and have a little fun before the rest of the road trip would consume me. I was wrong, because it took about six hours to get there (normally about 3.5 hours or less). The traffic was miserable almost the entire way. By the time I got to the hotel, it was well after 1:00am, yet there was still a line of about 40 people waiting to check in at the hotel registration. It was nightmare. By the time I got checked in, it was after 2:00. 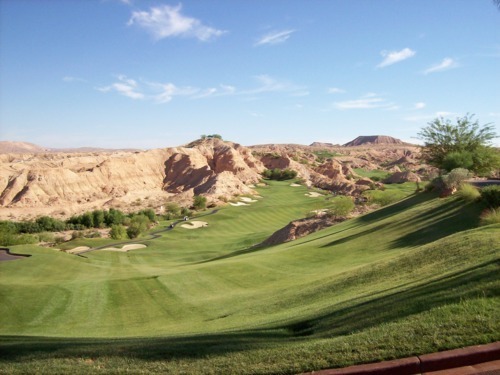 My first tee time was the next day at Wolf Creek in Mesquite. It was a 10:30 time, so I didn’t have to rush too much in the morning. 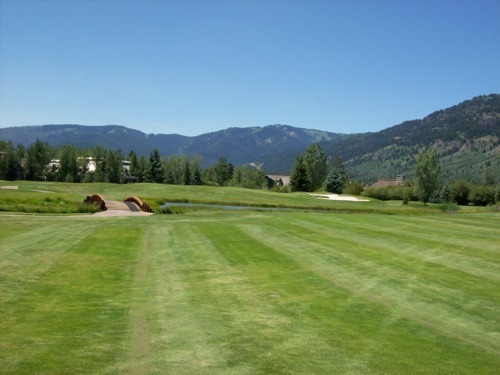 I still got to the course plenty early, but it was very busy that day so I still had to wait until my actual tee time. It’s also worth mentioning that it was about 115 degrees that day! 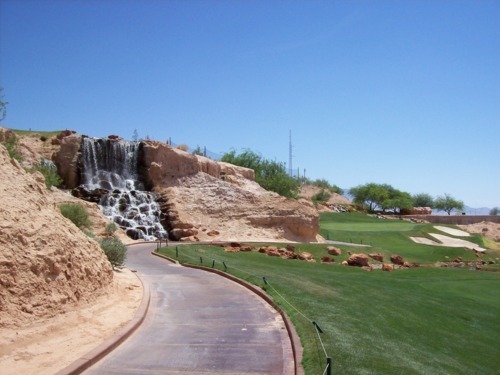 Though the course was amazing, it was one of the longest, most miserable days of golf that I ever played. The round took over six hours, there is no shade to be found anywhere on the course and, oh, did I mention the 115 degree heat? At least two groups were waiting on every tee box and it was awful. 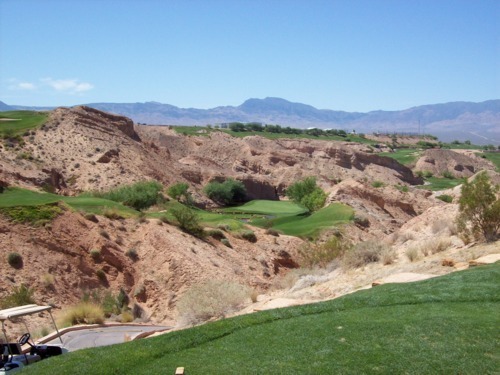 The good news is Wolf Creek is one of the most incredible courses I’ve ever played. 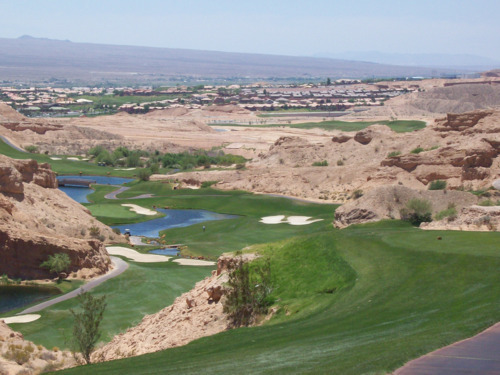 It is carved out of one of the most inhospitable desert environments you’ve ever seen. I stood on almost every tee wondering how someone could have imagined building such a beautiful golf course out of nothing. It’s a very challenging layout, as well. 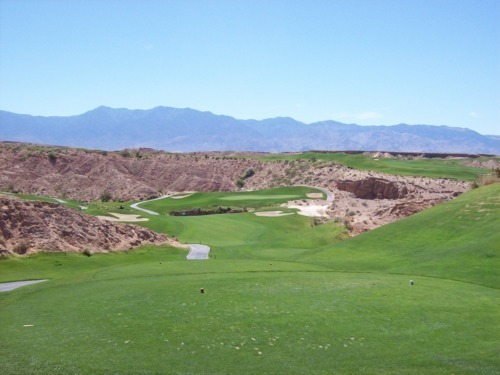 For some reason, I decided to play the tips with one of my playing partners, but after a few holes I moved up to the regular tees and it was still plenty difficult. Adding to the intimidation factor of this course are the cart paths. When I played there, the carts were gas-powered instead of electric, which kept them going at a slower speed (and for good reason). 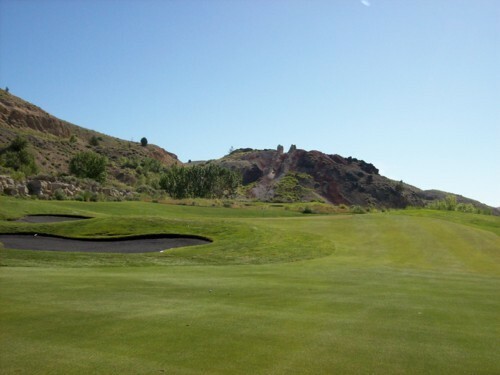 The cart paths are steep, treacherous and frightening. When you hit the brakes, they would often lock up and the cart would just skid down the hills. It was an unsettling experience. At one point, I actually lost control of my cart and it went careening down a rocky ravine (fortunately without me in it). It was almost like a cartoon the way the chain of events went down. My group was me in my own cart, another single in his own cart and a twosome in their own cart. We were going up a hill in between holes and I was last in line. One of the guys in the first cart dropped an empty potato chip bag. The wind caught it and took it back toward the next cart. When that guy stopped his cart to bend over and pick up the bag, he dropped his Gatorade bottle. That began rolling directly to me. So I stopped my cart to step out and grab the bottle. However, as I stepped out and pressed the parking brake with my foot, it didn’t catch all the way. The hill was steep, so by the time half of me was out of the cart it was already unstoppable. It rolled into a ditch, thrashed around violently and eventually came to a stop. My camera went flying out of the back, but thankfully wasn’t damaged in the process. We all went down to check out the damage and the cart seemed to be in good shape. It was stuck where it was, though, so I had to abandon ship. We called the clubhouse to let them know where the cart was sitting. They didn’t seem all that shocked, so I’m sure this isn’t that rare an occurrence around here. I put my bag on the other single’s cart and was more than happy to let him drive the rest of the day. I was pretty rattled after that. Keep in mind this was my first round of the trip and I did have to sign the cart out. 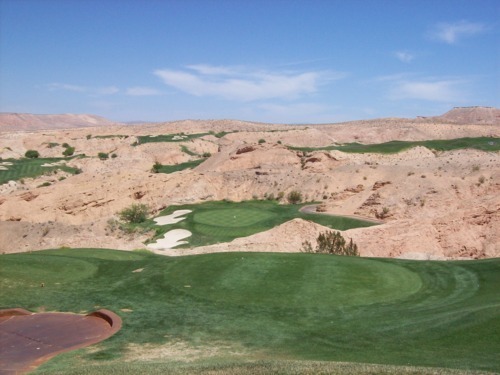 For days after that, I was paranoid that I’d be getting a call from Wolf Creek wanting some kind of money for the cart I damaged. Thankfully, they never called, so I guess they retrieved it alright. 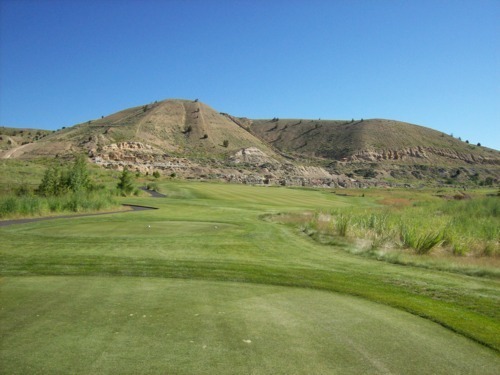 Luckily my drive after an exhausting round at Wolf Creek was a short one. 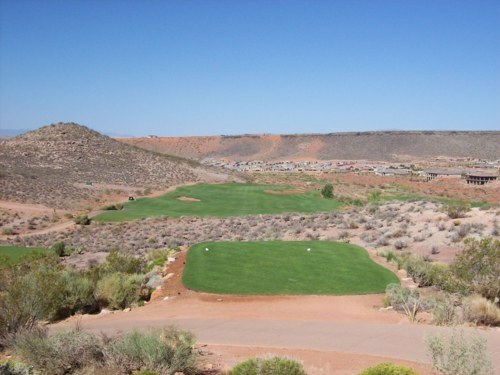 It was less than hour before I reached my next destination: St. George, Utah. 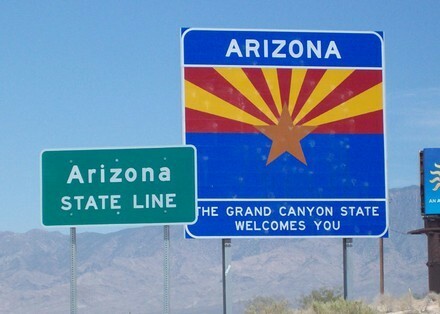 You do drive through a tiny corner of Arizona before you get to Utah, though. I got to my room, cranked up the AC and crashed pretty much immediately. I woke up in a stupor a couple hours later. I headed down the street to a little local drive-in diner called Larsen’s. Had some pretty good food. I drove around town for a little bit just to see the scenery, but went back to my room pretty early that evening and crashed not too long after. 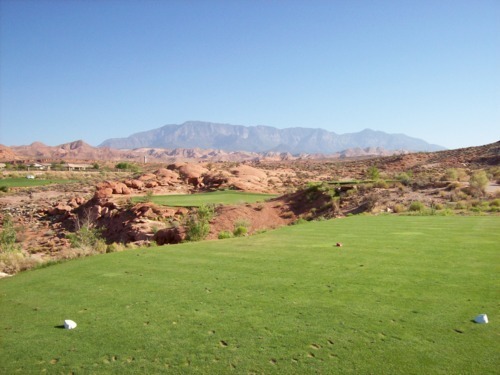 My next round was at Coral Canyon in Washington, Utah (just north of St. George). I played early in the morning, so it was a relatively quick round. It worked out well, because I had a much longer drive that afternoon. 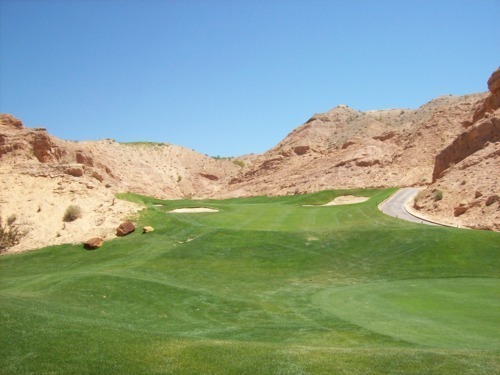 Coral Canyon is a beautiful desert course with red rock landscaping all around the area. 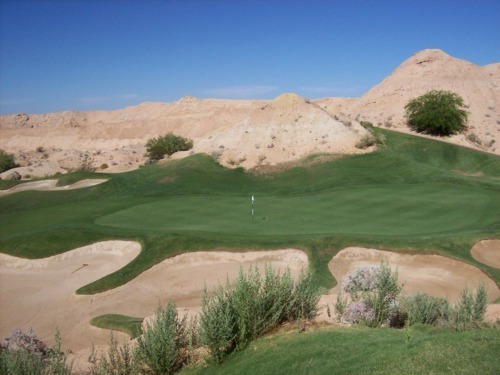 The course itself doesn’t have too many elevation changes, but plenty of harsh desert environmental hazards. 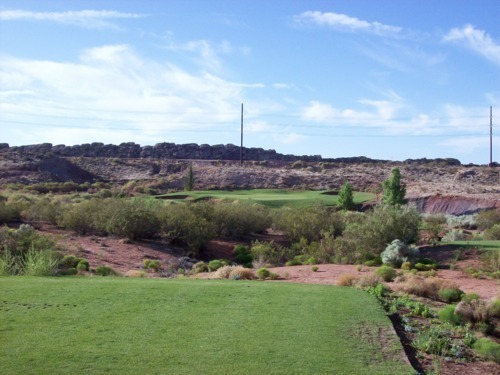 Though not far from Mesquite, the climate in St. George is much more temperate. 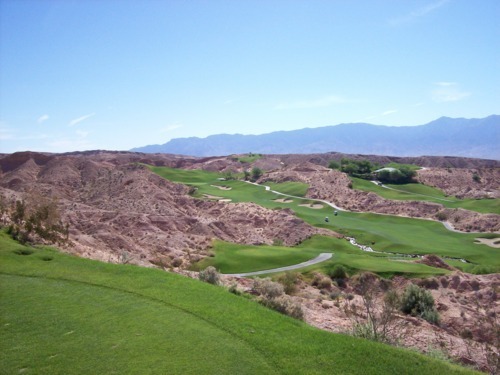 It was a little warm by the end of the round, but pleasant compared to the day before at Wolf Creek. This wasn’t the most “spectacular” course I played on this trip, but that’s a relative term because I played some really top-notch courses on this particular golf adventure. 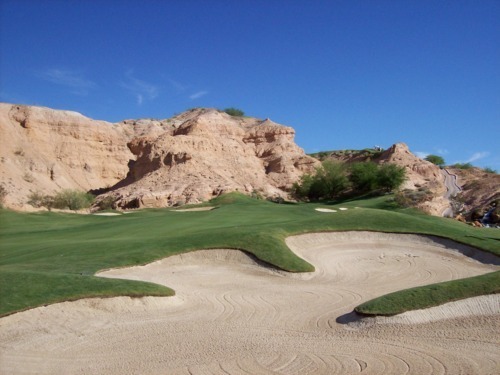 It was still a very enjoyable round and I had no complaints about the course. 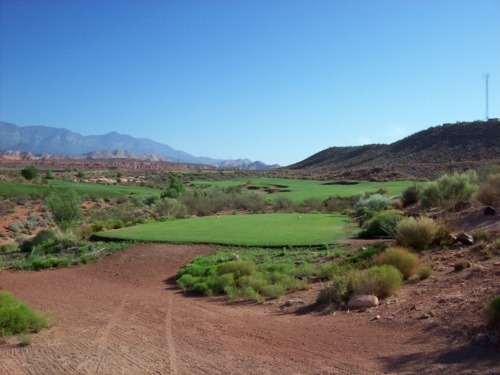 A lot of great desert scenery and a fantastic layout worthy of the stop. 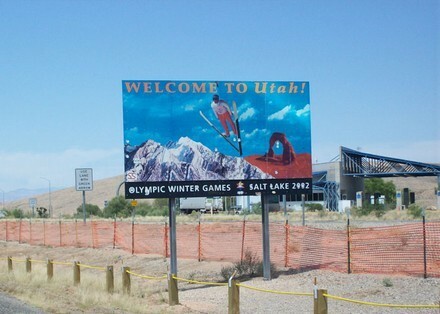 Now, the drive up the I-15 through Utah is not the most exciting journey. 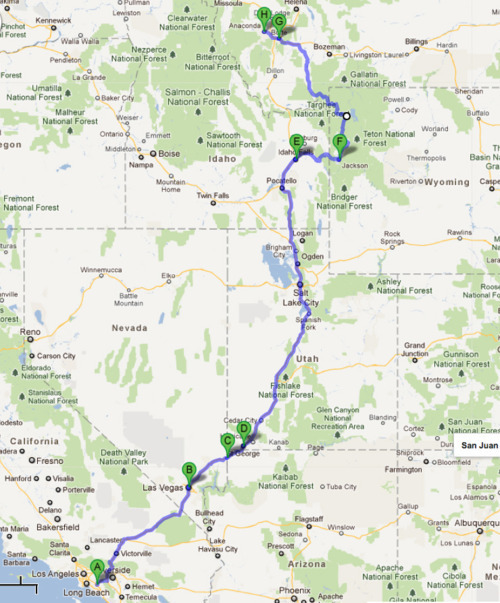 There isn’t too much to look at until you get closer to Salt Lake City. I didn’t stop there, but it’s a cool-looking city from the freeway because of where it’s built with the big mountains behind the skyline. 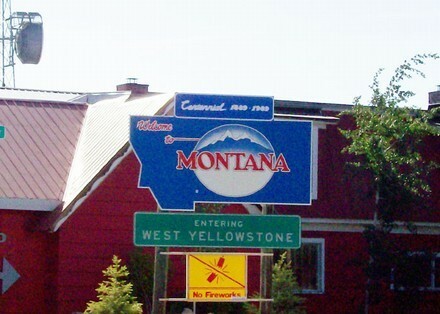 I stayed that night in Idaho Falls, Idaho. 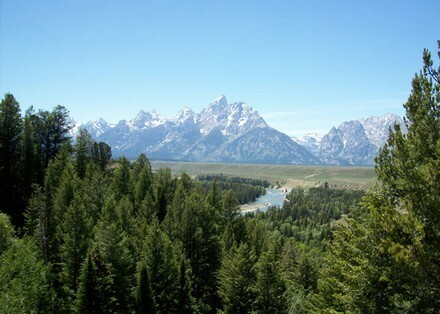 The next day, I ate some hearty breakfast at Smitty’s Pancake House in Idaho Falls and then headed directly East on a small highway toward Jackson, Wyoming (I guess technically the town of Wilson), right at the foot of the Grand Tetons. 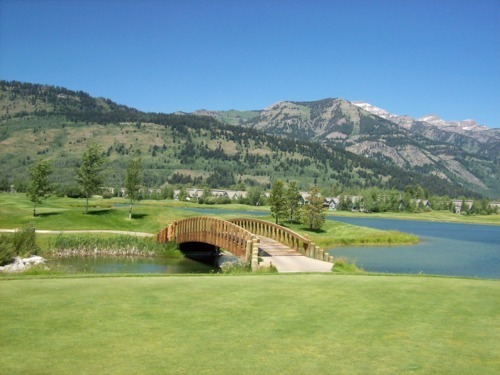 My course for this day was Teton Pines Country Club, which is designed by Arnold Palmer and is definitely a resort style course for this mountain town. 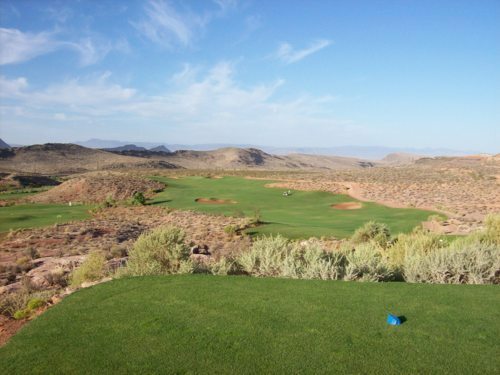 It’s a semi-private course that is only open to resort guests and club members in the morning, then open to the public in the afternoon. They didn’t allow me to make a tee time as a single, so I just had to try my luck. I got there right before noon and the course was pretty empty. I teed off quickly and played through a couple of groups along the way, but was done in a little over two hours. I didn’t get to bask in the beautiful scenery as much as I should, but the timing turned out to be perfect. 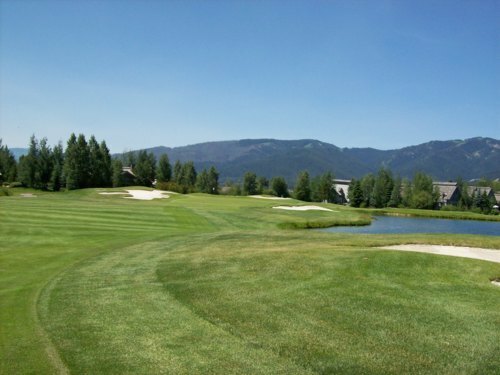 The course is a really nice course. The layout is pretty simple. Definitely a more resort-style track. Plenty of water in play, though, so not super easy either. 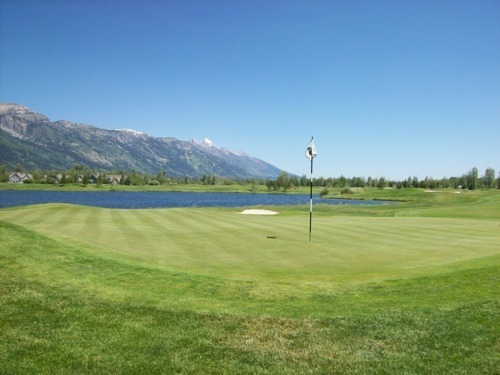 The landscape of the course is a little flatter than I would have expected given the location, but the mountains provide a stunning backdrop in every direction. 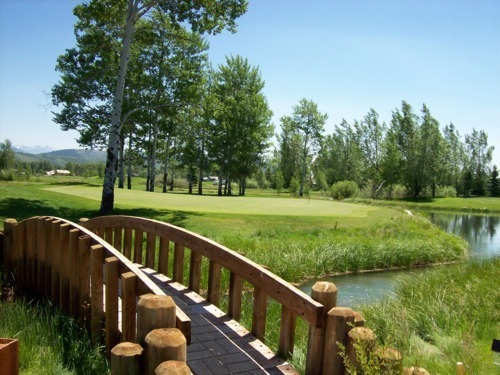 Lots of trees on the course and Arnold’s usual aesthetic touches (rustic wooden bridges, colorful landscaping and rock walls) make it a very scenic course. It was a little more expensive than I think it was worth, but still a memorable stop on my trip. 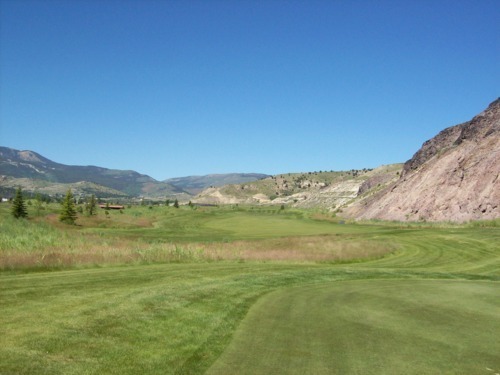 Because I finished that round so quickly, I knew I’d have a little more time to take the scenic route on the way to my next destination: Butte, Montana. So instead of heading back the same way toward Idaho Falls and continuing up the I-15, I decided to drive through Yellowstone National Park. It made the drive much longer without the freeways, but it was worth the detour. 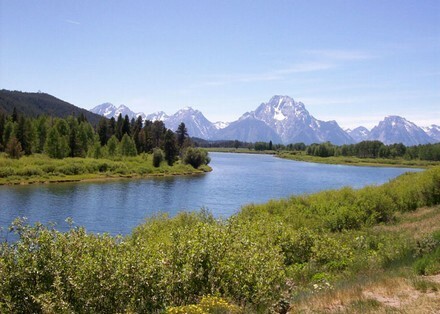 I got to see more of the Grand Tetons from every angle as I entered Yellowstone from the south. I saw some buffalo grazing alongside the road. 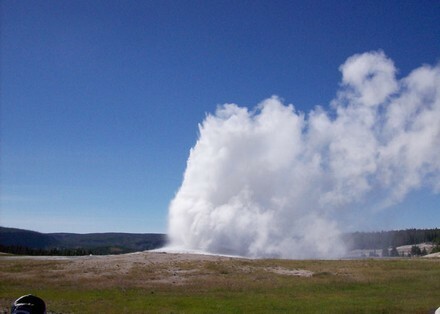 I stopped to see Old Faithful go off. It was a really cool drive through the park. 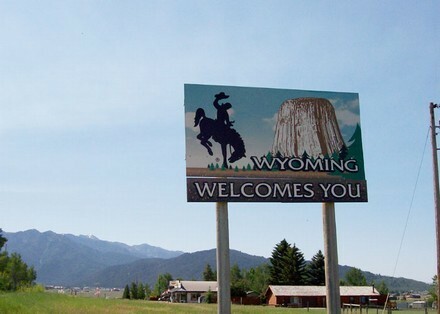 I came out of Yellowstone into Montana and proceeded along some small Highways until I finally got onto the I-85 West and pushed my way into Butte that evening (tee-hee). The next day, I got up early and drove a little further into Anaconda. My course this day was Old Works, which is a course I was really looking forward to. 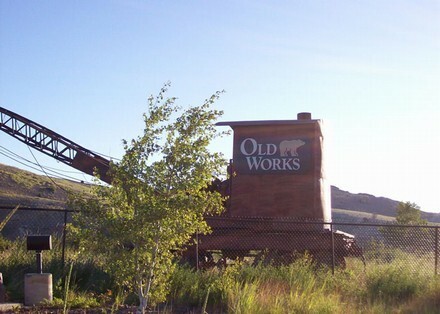 Old Works was designed by Jack Nicklaus on the remains of an old copper smelting mine. 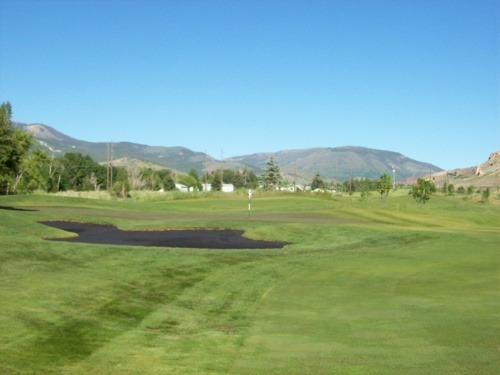 The course itself is a nice layout with a good variety of holes. Not the most amazing track I played on this trip, but solid. What makes Old Works really unique and memorable, however, is its bunkers. 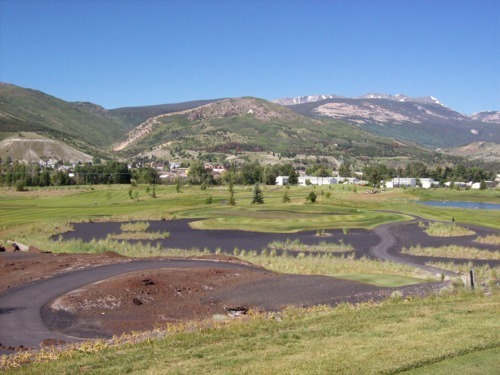 Rather than traditional sand, they use crushed black slag (leftover from the mine). So the bunkers are black and glassy, which is a really different look. 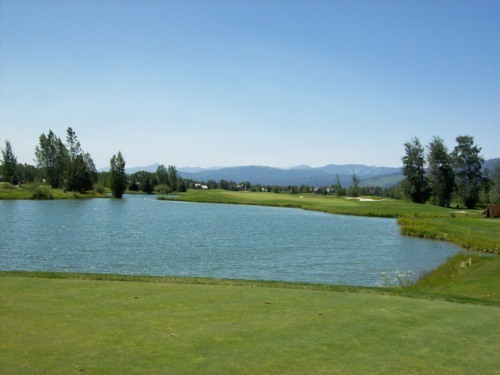 On approach shots, they almost look like water and it can be a little intimidating. That said, hitting out of them was very nice. They are softer and fluffier than you would imagine. The pace was a little slow on that day, though. I didn’t have a tee time, so I got there around dawn to put my name on the list. Unfortunately, they had a frost delay and a lot of people waiting around, so it took a couple hours before I was able to tee off. Stay tuned for Part 2 of this story, where I will chronicle my adventures through Idaho and then up into Canada for rounds in both Alberta and British Columbia. Part 3 will then feature my rounds in Washington and Oregon, as well as my two marvelous “finale” rounds back home in California.